Local System of the computer. 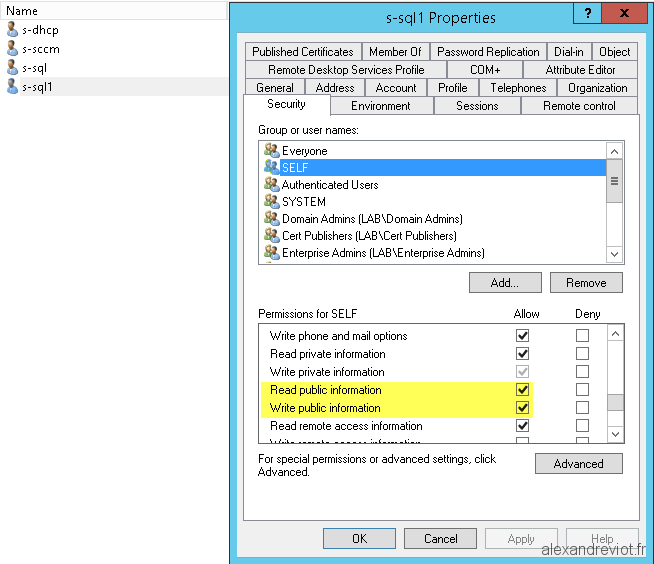 Service account, user account, created in Active Directory. 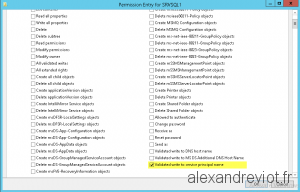 Manual registration with setspn tool. 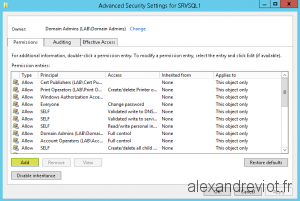 Automatically registration used by SQL service. NTLM is currently in use. 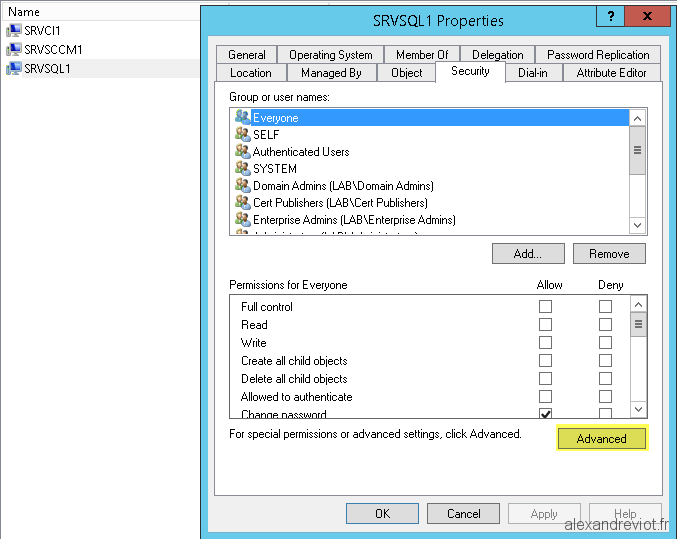 Modify Computer object rights in Active Directory. 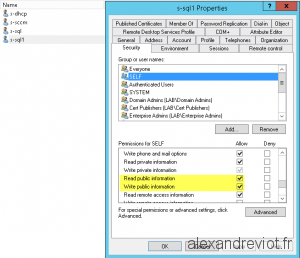 Modify Service account rights in Active Directory. 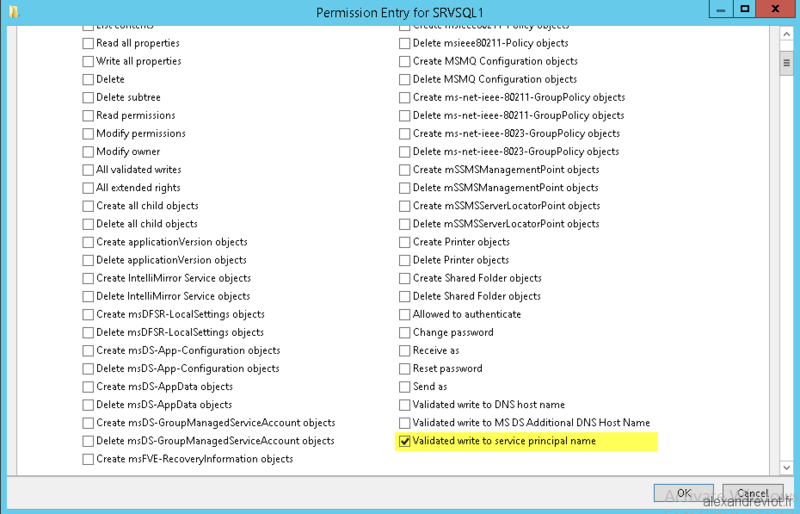 Tips: if you execute this query from the SQL Server itself, it always displays NTLM. 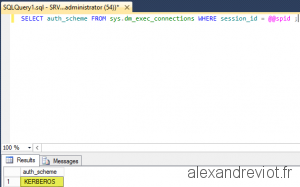 You need to execute it from another computer to get the correct status. 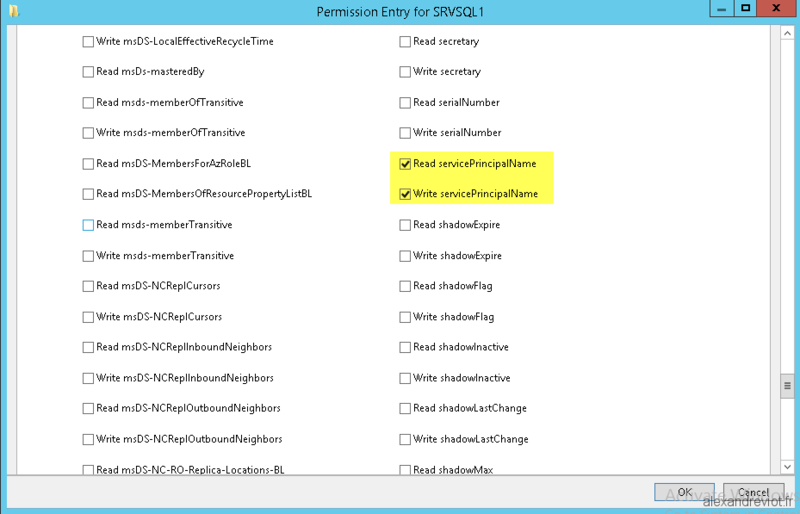 The service account must have the right to read and write Service Principal Name on the server object. 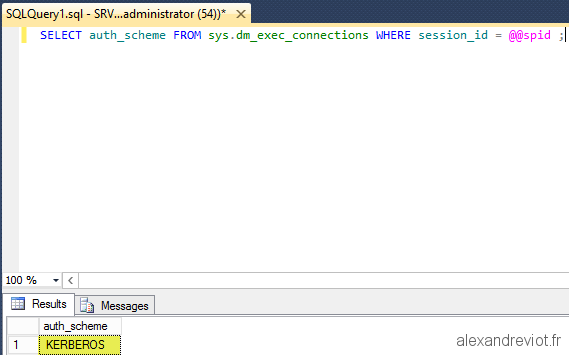 Validated write to service principal name. 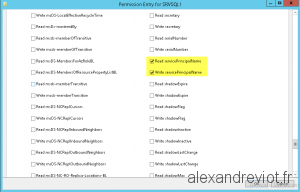 In addition to rights on the server object, service account needs to write public information on itself. 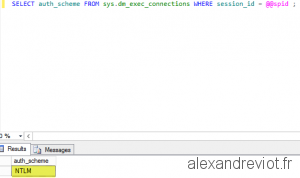 To check the modification, you can re execute the query below. 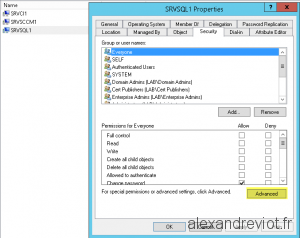 But before this, you have to reboot the SQL Server and the SQL client where you ran the query in the first step. 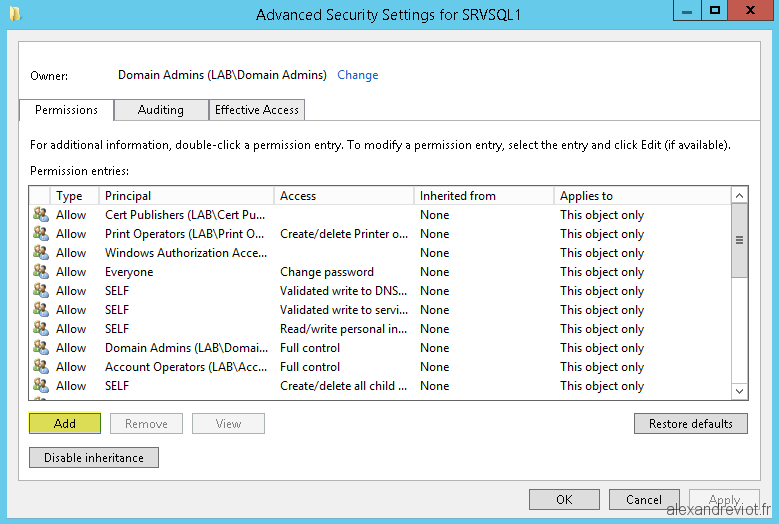 This entry was posted in SQL Server, Troubleshooting and tagged account, Kerberos, NTLM, service, SPN, SQL. Bookmark the permalink. Thank you for this great write-up Alexandre! 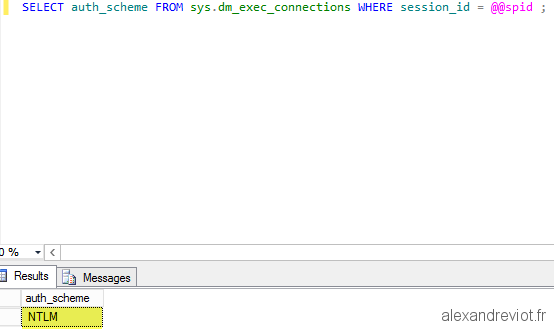 Nice, you dont have the Powershell code for it aswell?